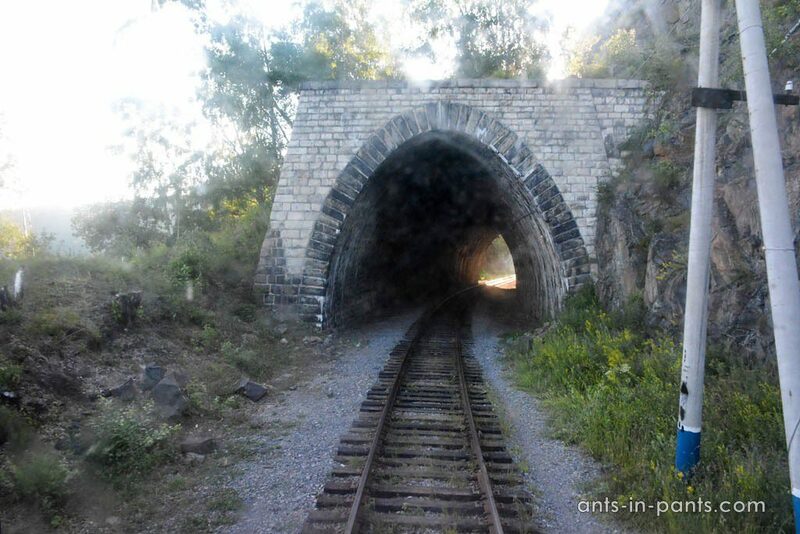 Circum-Baikal Railway is unique in the number of engineering constructions, at least in Russia: 39 tunnels, 16 separate and pre-tunnel galleries, 470 bridges, viaducts, and culverts, 280 retaining walls. Its short history is very rich: it witnessed the fights of the Civil War, was a strategic object in 1930–1950s guarded by the People’s Commisariat of Internal Affairs, served for cargo delivery during the Second World War. 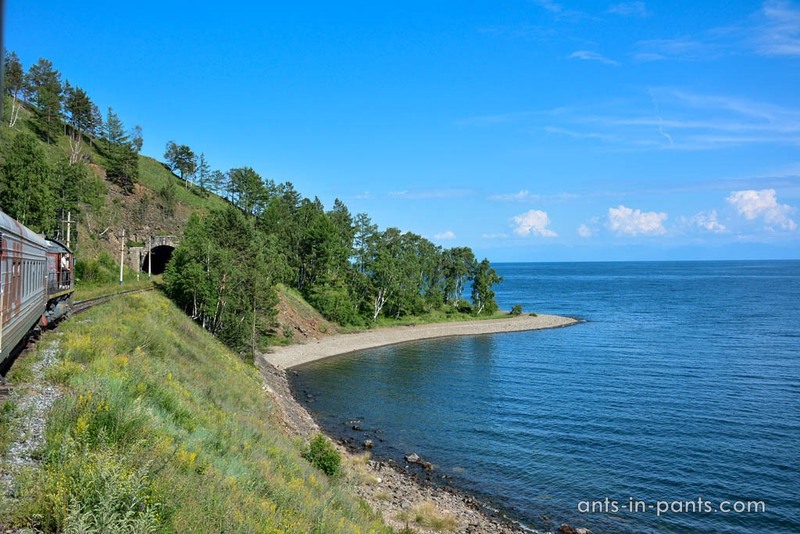 Circum-Baikal Railway was the most dangerous part of the Trans-Siberian Railway: due to rockfalls, mudflows, and freshets on the one hand, and the destroying activity of the lake (changing the water level, waves, and ice) – on the other hand. 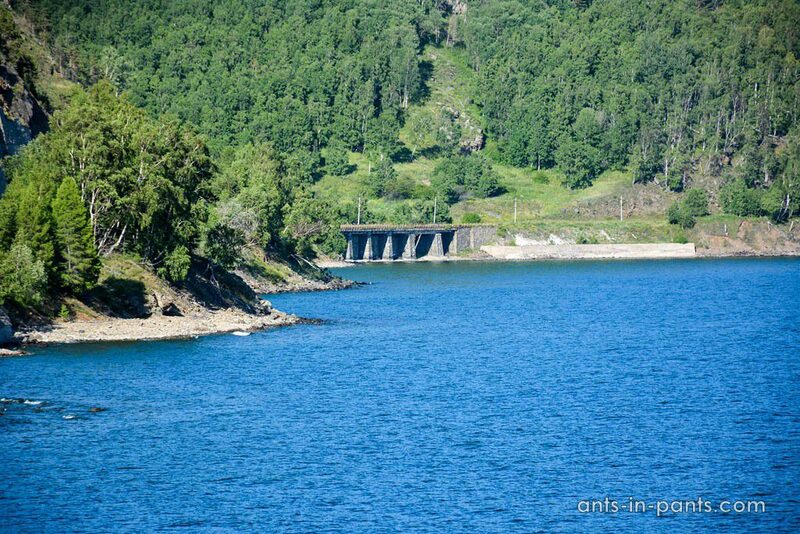 Due to this, in 1930s the decision was taken to build a parallel railway Irkutsk – Slyudyanka. 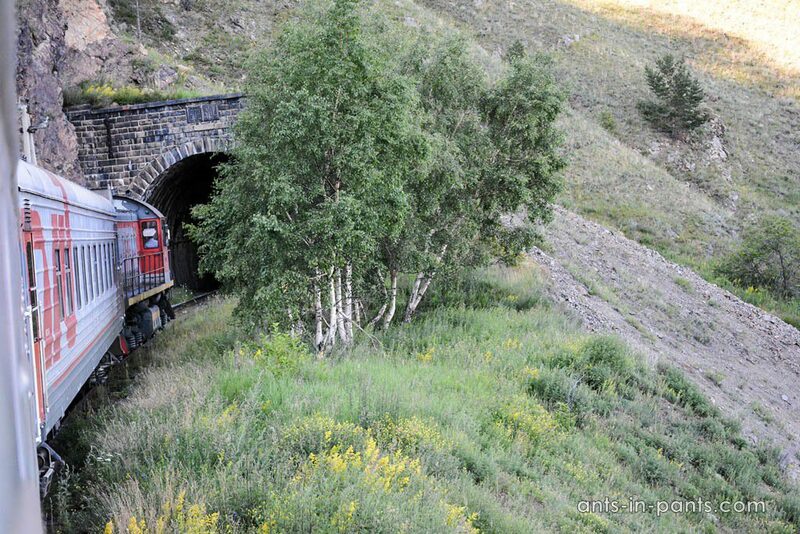 Today Circum-Baikal Railway is a 94 kilometer railway branch from Baikal to Slyudyanka station. 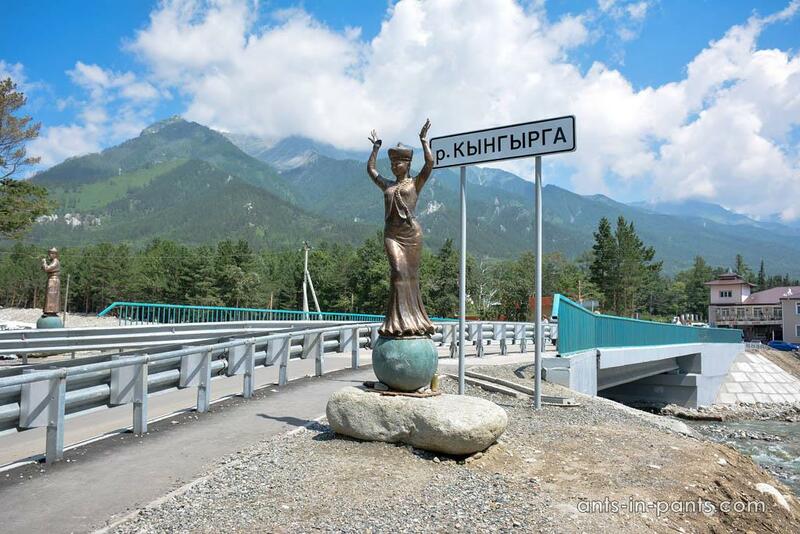 It crosses the Pribaikalsky National Park which has been in UNESCO heritage list since 1996. Circum-Baikal Railway includes 582 monuments of engineering art. 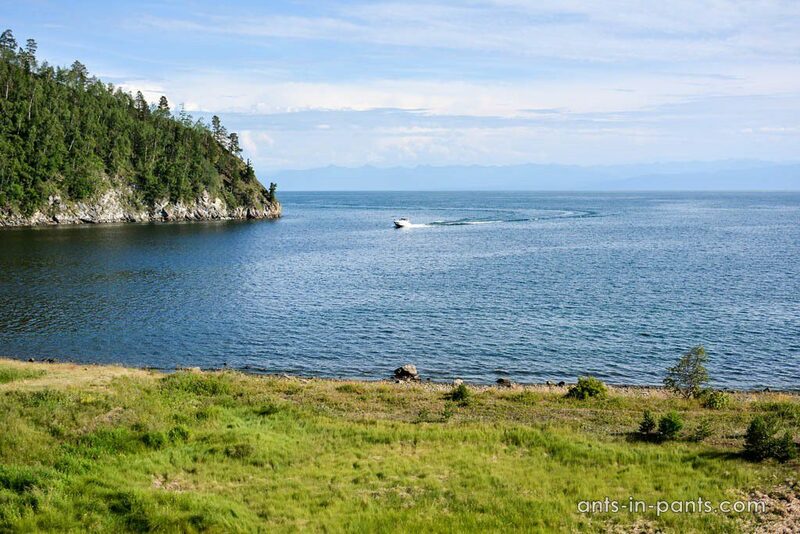 Depending on your financial possibilities, time, and physical form you may choose one of three ways to visit Circum-Baikal Railway. The price for the Circum-Baikal Railway train tour was 4000 – 5000 roubles (about 80 euros) for an adult in 2017. Many try to find the official website of Circum-Baikal Railway to buy the ticket, but it does not exist. You may buy the ticket through one of many companies, easily found on the internet, and the price includes the whole day train ride and guided tour (but not food). Many people criticize this tour on the internet, because drunk tourists often take it, and the trains are overcrowded in the peak season. The readers who are familiar with our approach to travelling probably understand that this is the way we chose. The price for such a ride is only 300 rubles per person, and you may organize it buying two tickets (you will need to change the train). The timetable for Circum-Baikal Railway trains is the following. First take Irkutsk – Slyudyanka train (8.36-11.34) and then change to the train known among locals as motanya, Slyudyanka – Port Baikal (13.28-18.23). The timetable may slightly change depending on the season and the unpredictable Russian railway: you will get to know the exact time when buying the ticket. 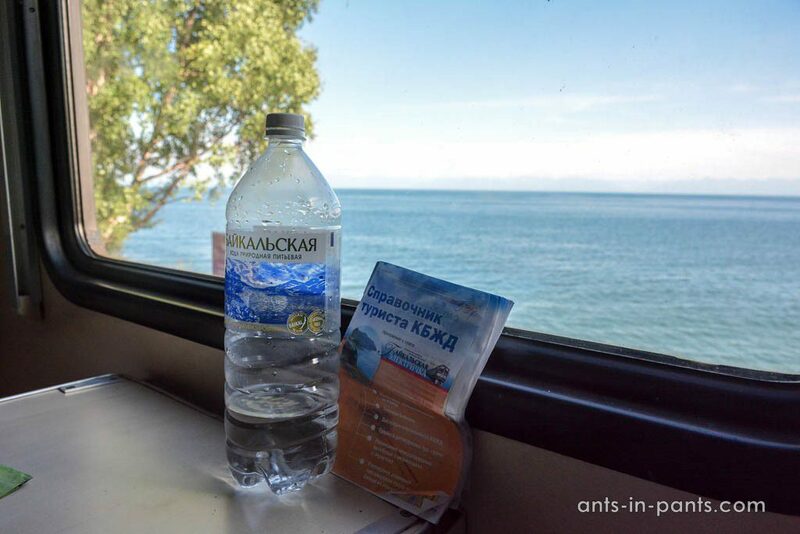 This is what our experience of Circum-Baikal Railway trains was. The train from Irkutsk to Slyudyanka departed at 9.34. People with backpacks were waiting for the platform announcement in the railway station. There were too many tourists, and some were less lucky (including us) having to stand for three hours on the train, all the way to Slyudyanka. The trip to Slyudyanka is rather boring, it was only in the last 30 minutes that we saw Baikal and some tunnels. The change in Slyudyanka takes about two hours, and it takes at least 30 minutes to visit the railway station toilet (due to the queue: remember that there is no toilet in the train to Slyudyanka). 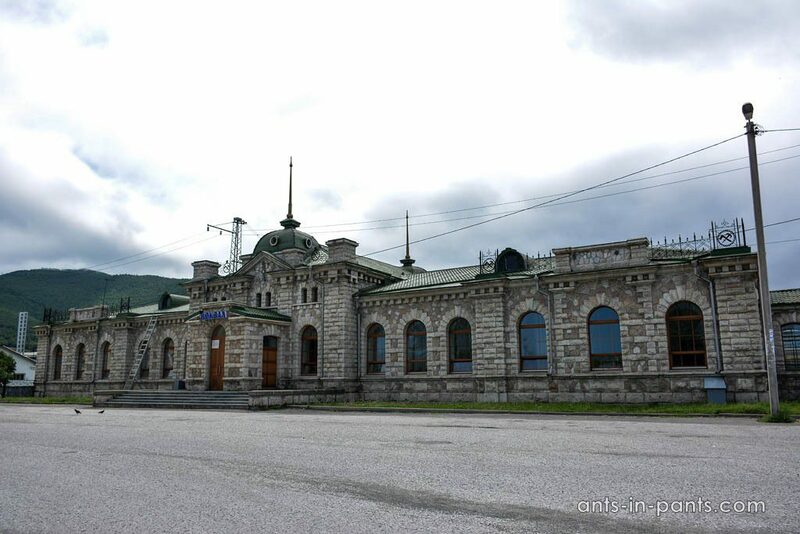 The main Slyudyanka attraction is the unique railway station building constructed in 1905 from pure marble. The marble had been collected in the nearby Baikal mountains. 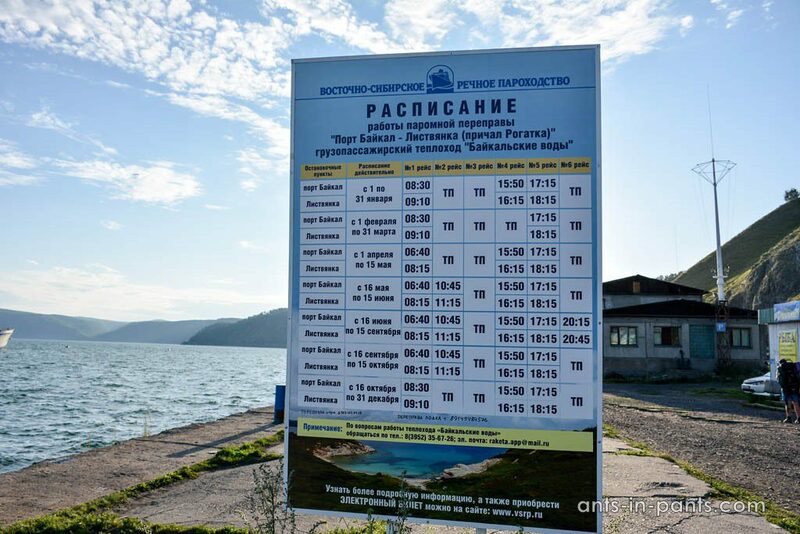 The time of Slyudyanka – Port Baikal train departure remained unclear: the website of Russian railway did not have any information, at the train station in Irkutsk they had said, “Sometime at two”. The information machine in Slyudyanka claimed 14.35, in fact we departed at 14.21. The train was available an hour before the departure, so make sure you take the seats in advance. 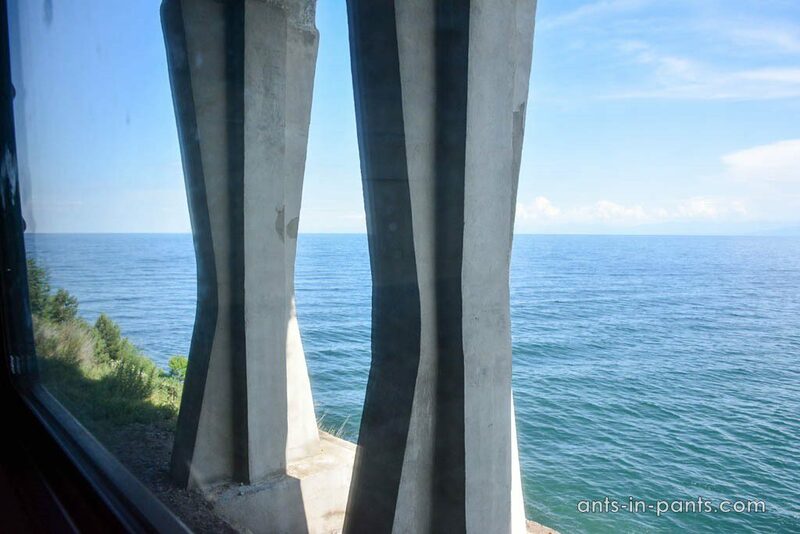 In our case, the seats at the window were occupied, and we had to take pictures through a small opening window next to the upper berth and simply enjoy the views. 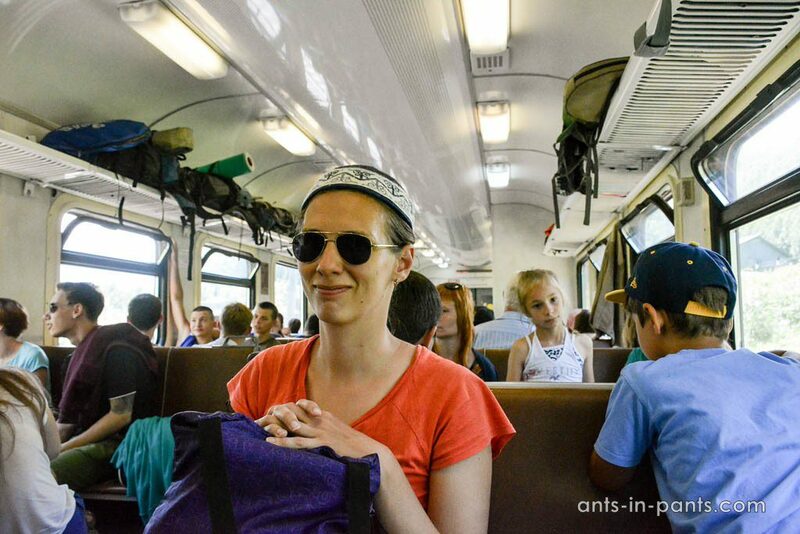 Out travel companions left soon: many take off in the middle of the way to hike Circum-Baikal Railway. 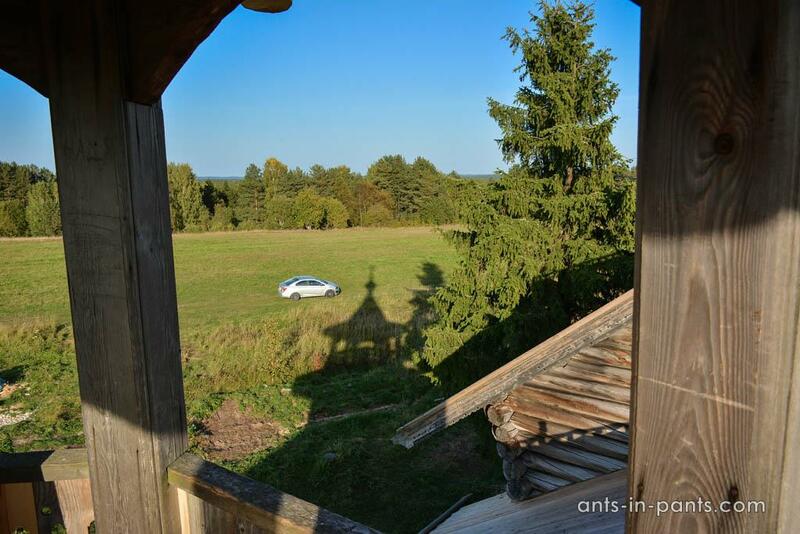 We could reach the window now and fully enjoy the views. We could also take the pictures from the last carriage, but its window was too dirty and a lot of people were smoking there. Watching the lake, we finally reached Port Baikal. 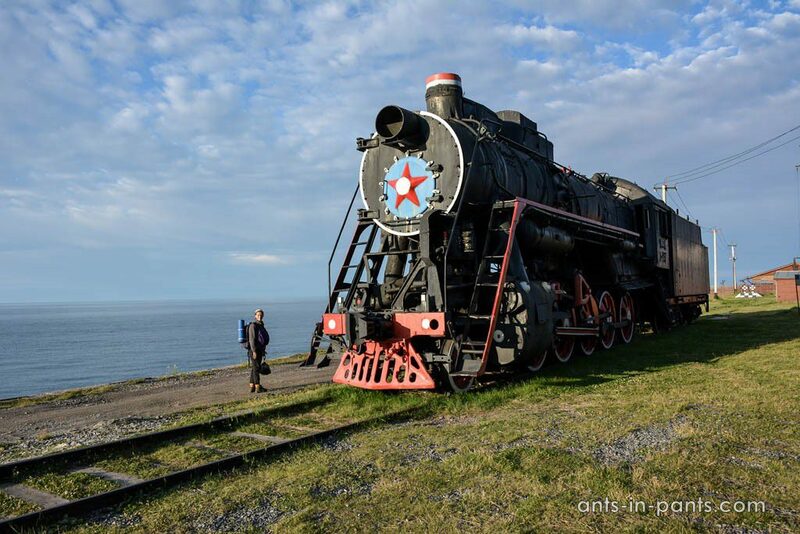 Port Baikal is the final stop of Circum-Baikal Railway situated on the shore of Baikal Lake and the bank of the Angara River. The most ancient settlements here belonged to the indigenous Evenk people. 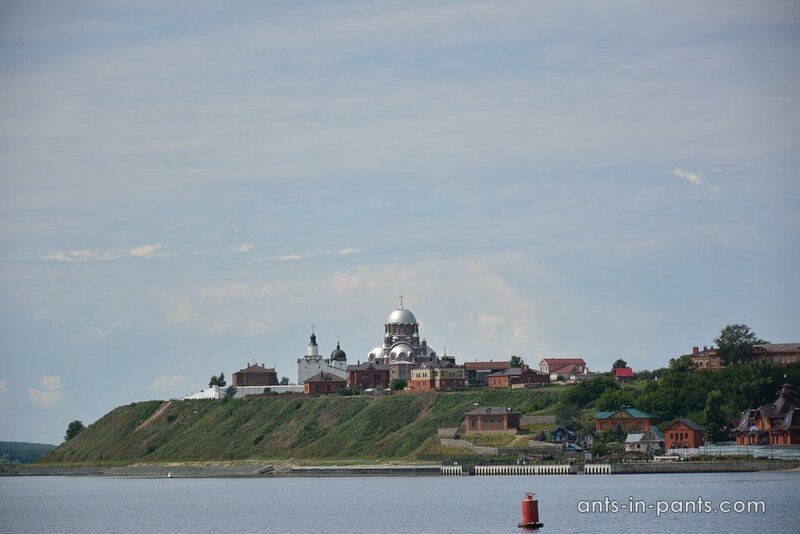 Port Baikal became a significant settlement in the beginning of the 20th century when the Trans-Siberian Railway reached Baikal and the neccessity for change between the railway and water transport cargo emerged. 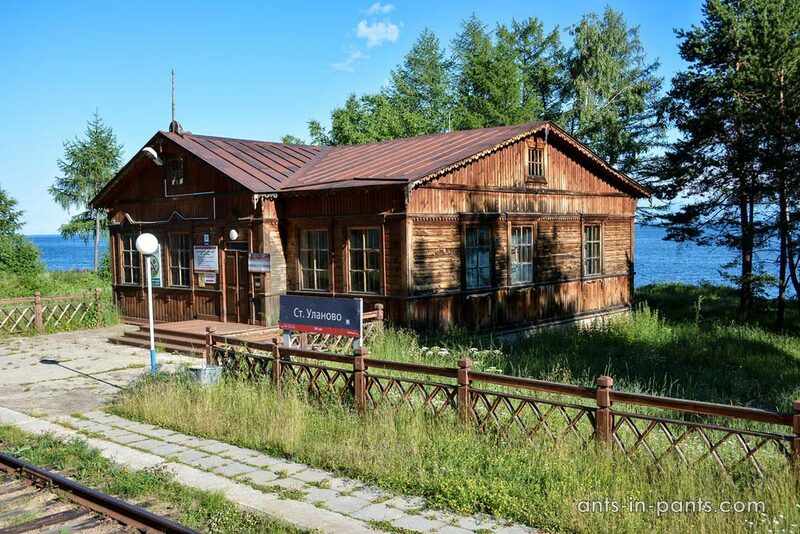 After drowning the branch of Irkutsk – Port Baikal railway, the station became the final point of Irkutsk – Port Baikal branch. Port Baikal has several shops, cafes, and hotels. Its main attractions are the beginning of the Angara, the famous Shaman Stone in Baikal Lake and the museum of Circum-Baikal Railway. 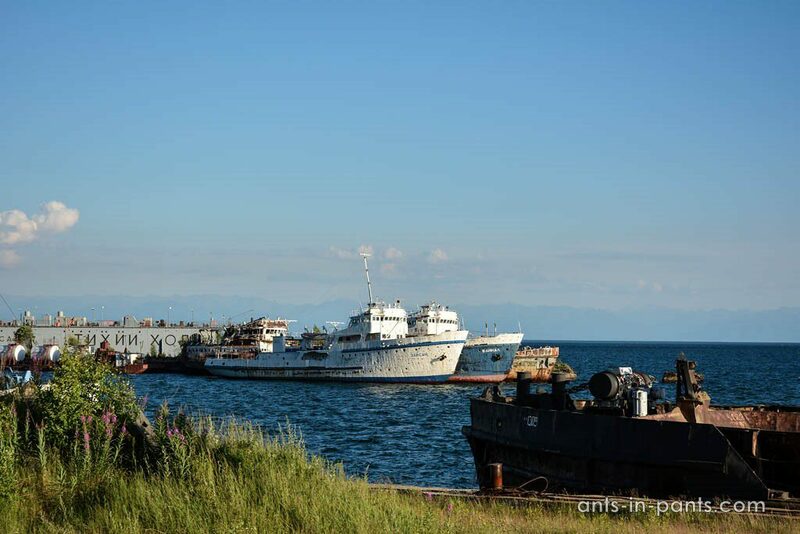 In Port Baikal, you may either take the ferry to Listvyanka, and then the mainland transport back to Irkutsk, or camp here and take the ferry in the morning (as we did). 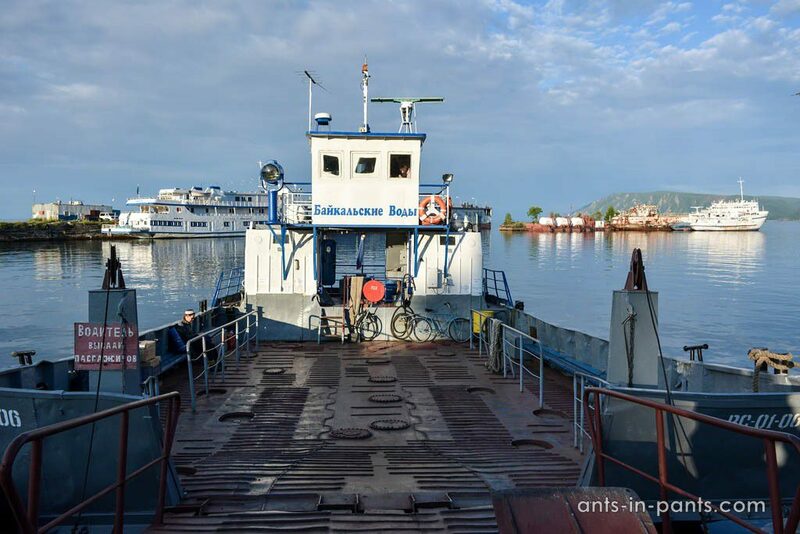 The schedule of Port Baikal – Listvyanka ferry. 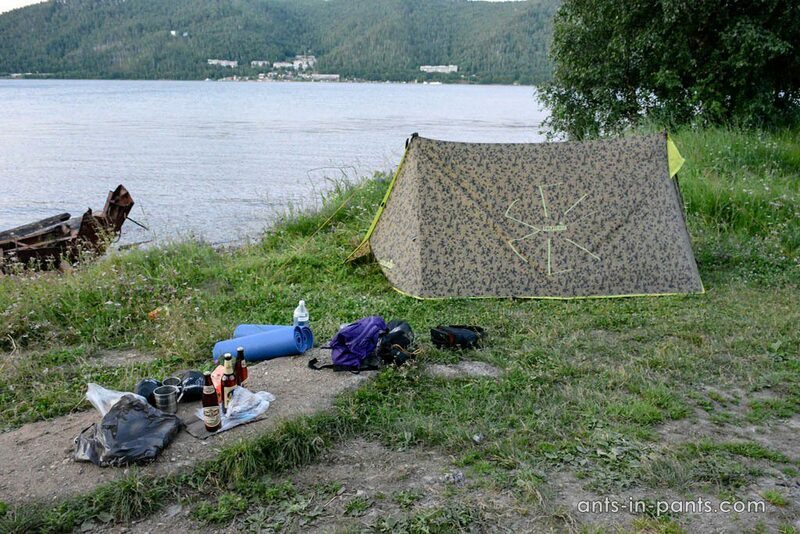 We recommend to camp at the entrance to National Park in Port Baikal: camping is not allowed in many other places. Some tourists reach either Slyudyanka or further station and set off for the hike along Circum-Baikal Railway. 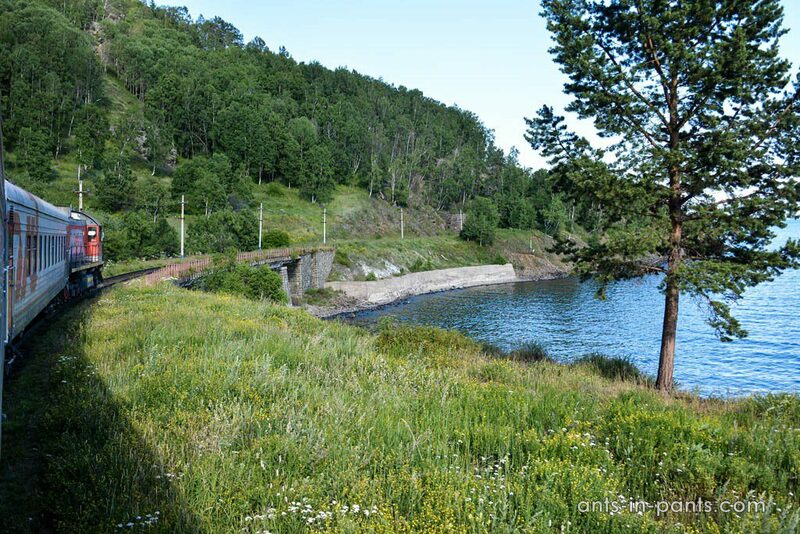 They will certainly get better photos of Circum-Baikal Railway in such a way, but one should take into account his or her physical shape and time. It may seem that the hike is not so difficult, but it is not so simple either. Despite the potential difficulties of the hike, we saw a lot of travellers from the window. 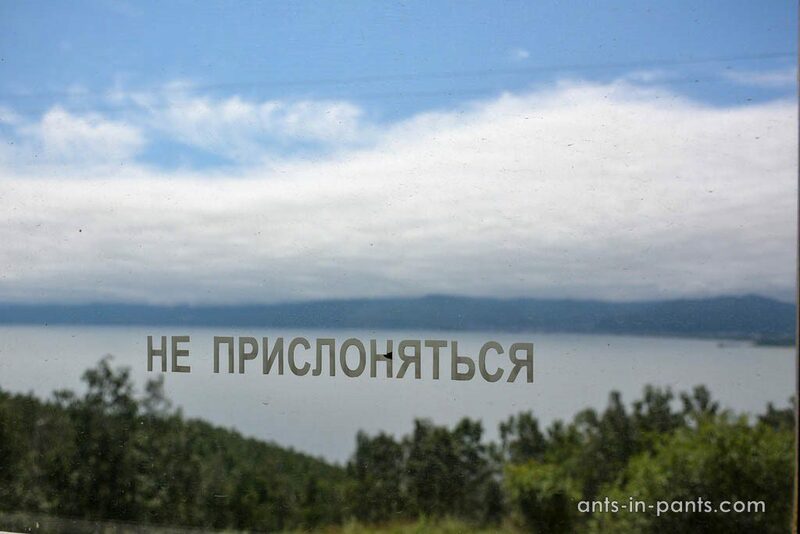 Getting prepared for your hike along Circum-Baikal Railway, you should remember several rules. Take on the shoes with firm sole: the gravel of the Railway has not been created for hiking. Mind the traffic: all kinds of trains are of major importance compared to a hiking tourist. Do not climb the rocks: they often crumble. The same is true for the retaining walls. Walking inside the tunnels without flashlights is not recommended. Do not eat mushrooms growing on the rails! Mind the ticks and the snakes! Remember that the closest hospitals are in Baikal and Kultuk settlements, and it may turn out that the closest medical help is 80 kilometers away.